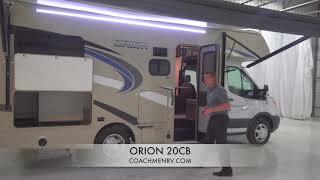 The ALL NEW Coachmen Orion is distinctive, there's no question. But you'll also be impressed with its luxurious and spacious camper body, designed for versatility and low cost of ownership. 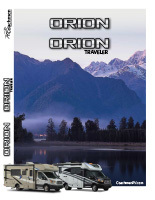 The Orion Class C Motorhome will catch your eye with its sleek, expansive windshield and oversized, bright-finished, high-positioned headlamps. And when you get behind the wheel, you'll feel the power behind its award-winning 3.6L, 280HP V6 engine, delivering competitive fuel efficiency. 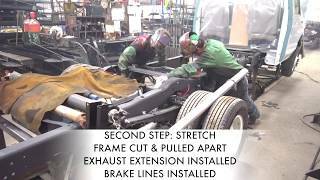 Orion's unique and premium steering gear enhances drive and reliability, and provides an incredibly tight turning circle. Steering control is firm, responsive and confident. As one of the top selling brands in the nation, Coachmen has been providing generations a product they can rely on for over 50 years. 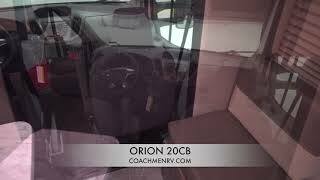 That same dedication to quality and affordability is evident in the all-new, smartly-designed Orion Class C Motorhome.